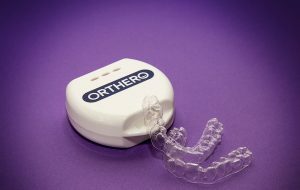 Representing the latest technological advances in esthetic orthodontic treatments, Orthero provides a treatment system of individually tailor made transparent aligners which when used in the correct order propagates your patients’ teeth into their ideal form. According to the treatment plan approved by our orthodontists, we send you the transparent aligners and all the necessary materials prepared. All you need to do is to show the patient how to use the product and thereafter ensure that the patient adheres to the treatment plan through periodic control appointments. You can view your 3D analyzes and observe the individual steps of the entire treatment process. You can easily define your new cases with the user friendly interface. You can store information about your events. Your cases can be approved, or you can quickly submit your revision requests to our orthodontic consultants. By downloading our Orthero Dr app to your smartphones and tablets, you can easily do things from your mobile device. In addition to identifying cases through the application, you can also keep track of the status of your cases by receiving instant information messages.